Height: 9", Base Diameter: 5.25"
Reinforced with vertical ribs and a base ring. Very durable. 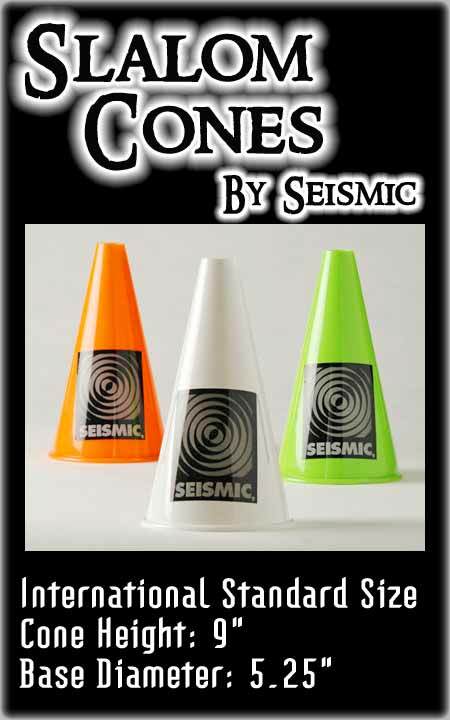 Sold in sets of 10 cones. Recommended number for a single lane hybrid course is 40-50 cones. Currently available in white, orange and green.